This year’s Black Friday marked a record number of FBI background checks for firearm purchases. USA Today reported that the agency received 203,086 requests for background checks, which broke the record set on last year’s Black Friday with 185,713 requests, and the previous record of 185,345 requests on Black Friday the year before that. No doubt, many of these firearms are being purchased as gifts for minors during the holiday season. Technically, minors under the age of 18 can’t legally own a firearm, so while the intentions are to gift the gun, it’s still your responsibility to make sure the person you’re transferring ownership to can legally own it. 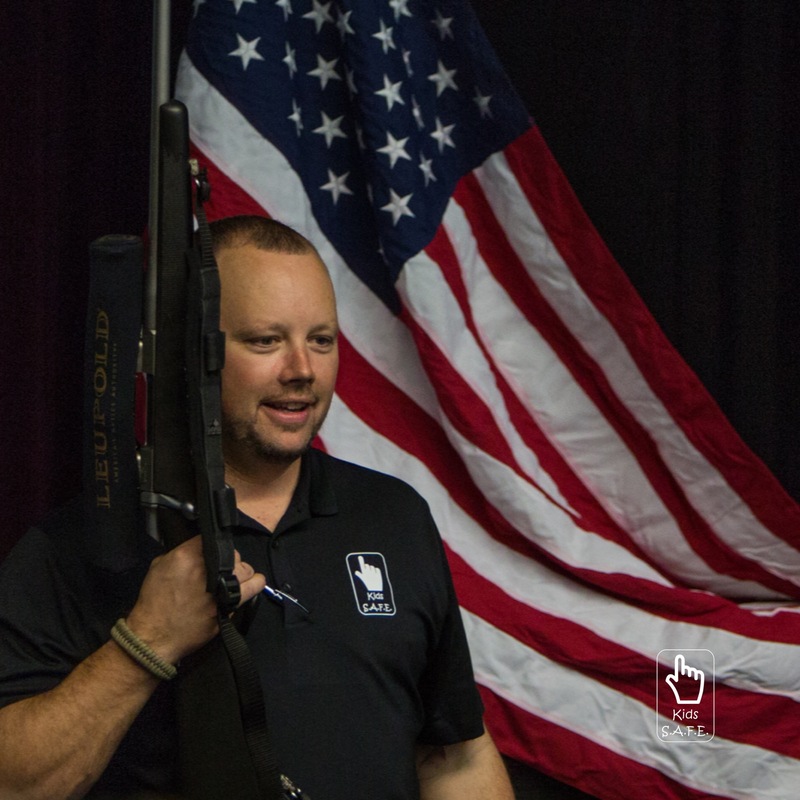 Ask your local firearms retailer for a clarification of local laws before making your purchase. The ATF recommends giving gift cards for the purchase of firearms, so there’s no question about who the actual purchaser is on the Federal Form 4473, which states in Section 11.a. Actual Transferee/Buyer: For purposes of this form, you are the actual transferee/buyer if you are purchasing the firearm for yourself or otherwise acquiring the firearm for yourself (e.g., redeeming the firearm from pawn/retrieving it from consignment, firearm raffle winner). You are also the actual transferee/buyer if you are legitimately purchasing the firearm as a gift for a third party. Beyond all the legal jargon, it’s important to recognize that safety comes first, then great care should go into purchasing the right size and firearm type for a youth hunter. Derek LeBlanc of Kids S.A.F.E. 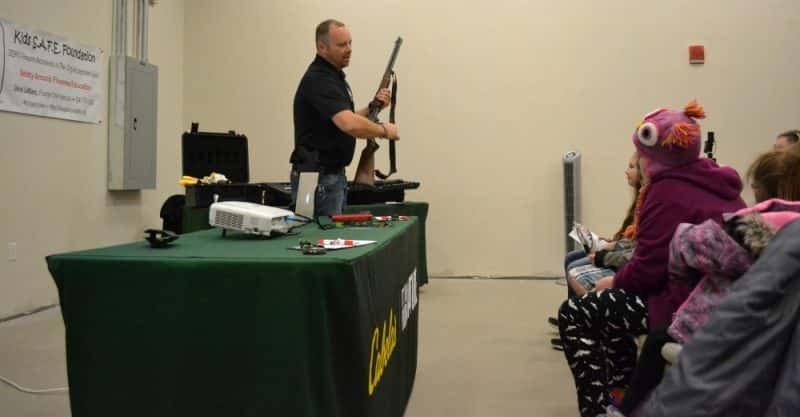 Foundation teaching a gun safety education course. Photo by Randall Bonner. LeBlanc emphasizes to those concerned about children and gun safety that his courses are non-political, and intended for everyone, including households that don’t own or intend to own guns. His material focuses on differentiating real-life situations from video games, television, even nerf guns and airsoft. He values the importance of instructing kids about what to do if they encounter an unsecured firearm in another household. As far as hands-on range instruction is concerned, targets are placed downrange with a safe backstop, and children learn to differentiate the reality of firearms from their own misconceptions through the tangible experience of aiming real guns at their intended targets, rather than aiming toys at screens or each other. I asked LeBlanc what suggestions he has for those who are gifting firearms for boys and girls this holidays season. Emphasizing safety first, LeBlanc says that protective eyewear and hearing protection are important pieces of equipment for those beginning shooting sports or hunting, as well as blaze-orange clothing, which is typically required by state law for all firearms hunters. Proper storage and security tools such as trigger locks and safes to store both guns and ammunition (LeBlanc suggests storing them separately) are an important part of providing a safe, accident-free home environment. Making the right purchase the first time so they haven’t outgrown it in their first year is key. He also emphasizes that “their size is as relevant as age when it comes to gifting the right gun that will have some longevity,” further explaining that an 8- to 11-year-old that’s a bigger kid might be able to utilize a slightly larger gun that they will get more use out of down the road. The versatile utility of a shotgun is a great place to start. LeBlanc suggests a 28 gauge as an ideal youth starter gun for upland game birds and shooting sports. One to consider is the Stevens Model 555 Over & Under; it’s a lightweight and stylish gun that comes complete with five interchangeable choke tubes, which adds some versatility. If you prefer a 20 gauge, however, the choices are more numerous. A longtime best seller, the Remington Model 870 Express Compact series is specifically designed for small-framed, or young shooters. The Mossberg Model 500 Bantam Youth series includes a very practical feature of an adjustable stock that can grow with young shooters. The Field/Deer Combo includes a 22-inch vent rib barrel with dual bead sights and interchangeable chokes, as well as a fully rifled slug barrel with adjustable sights. If you’re on a budget, or prefer a single-shot model, the CVA Compact Hunter Single Shot is available in a 20 gauge model, as well as a .410, both with an adjustable stock. Its ambidextrous design is a nice feature, and the automatic hammer blocking safety feature prevents the firearm from discharging before the trigger is pulled. It also comes with a fixed full choke and a manufacturer’s lifetime warranty. 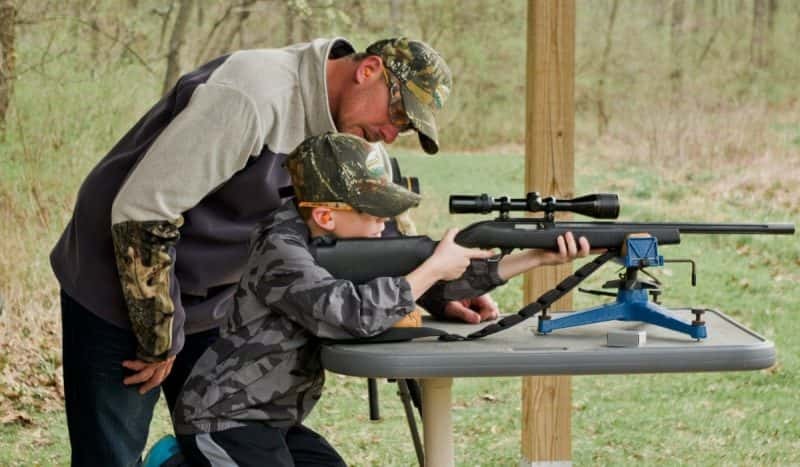 Youth hunters going for whitetails or other big game typically begin with a 243 Winchester, and the Savage Axis Youth Compact is an inexpensive, lightweight bolt-action rifle in a recoil-friendly caliber. The 22LR is probably the most popular youth starter gun, and LeBlanc suggests either a Savage Arms Mark II or the Ruger American Rimfire, both bolt-action rifles. One advantage to the Ruger American (which he uses during range courses) is that it will fit the same magazines for a Ruger 10/22. 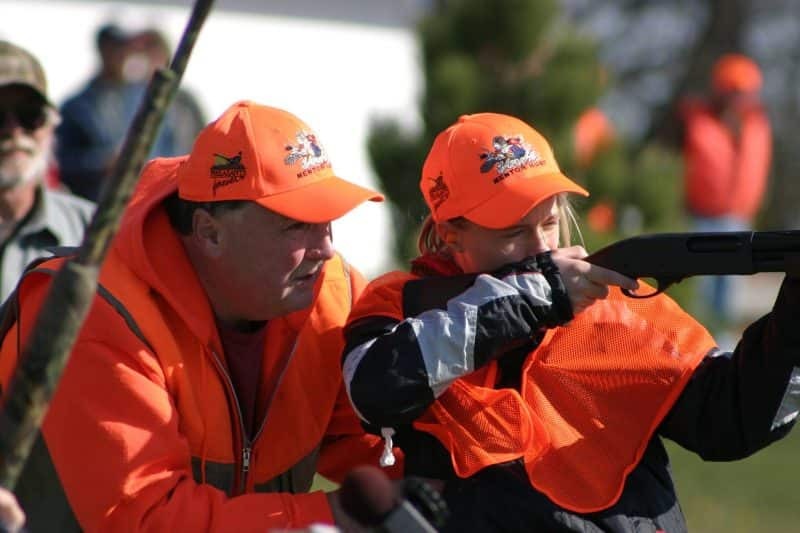 Being able to participate in shooting sports and hunting helps young people not only build confidence, but also a healthy discipline and foundation for proper gun-handling safety procedures. For the reasons detailed above, buying a youngster’s first firearm is an important decision. If you’re not sure exactly what to purchase, it’s a good idea to visit a local gun dealer such as Cabela’s and ask the experts. Editor’s note: If you want to support the Kids S.A.F.E. foundation, you can make a contribution through LeBlanc’s website, kidssafefoundation.org. All proceeds will go toward scholarships, training materials, and supplies to further the program so that no child will ever be turned away from participating. This article was produced in cooperation with Cabela’s.